""happy birthday"section four .seventh form. 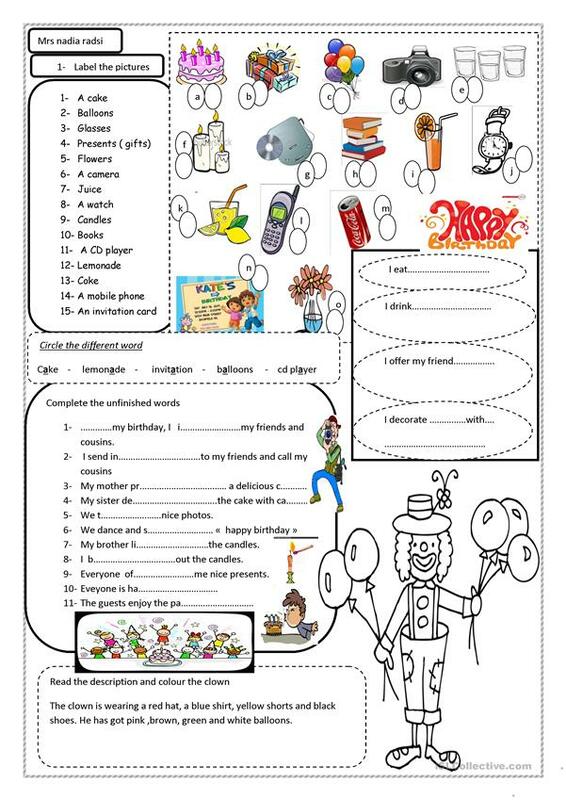 The present printable, downloadable handout is a great resource for elementary school students at Elementary (A1) level. It is a useful material for teaching Present simple tense in English, and is a valuable material for developing your groups' Spelling, Speaking and Reading skills. It features the topic and words of Birthdays.